I happened to visit Dowdy Studio’s opening in Dallas a few weeks ago (followed by their debut at Austin’s SXSW conference). 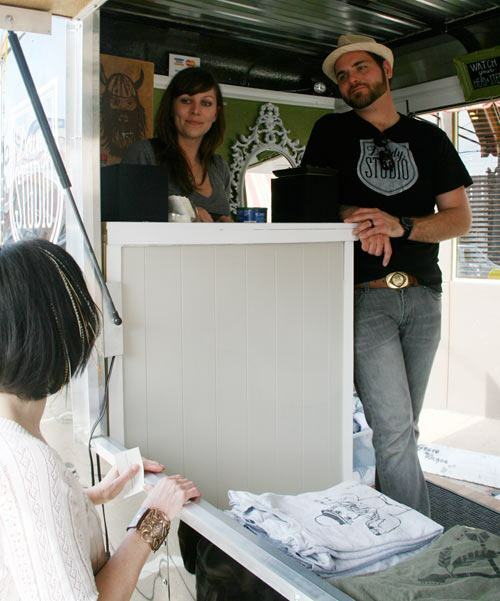 Dowdy Studio is a husband and a wife team of artists, who sell art and art tees from their truck. 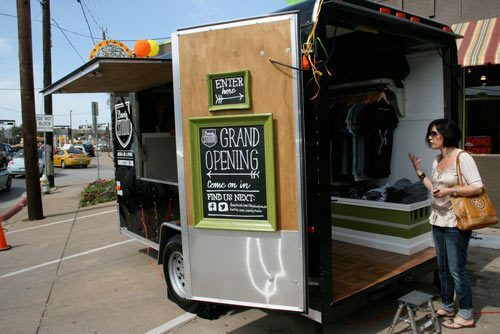 Very fittingly, their opening happened in Dallas in the front of a store called Gypsy Wagon. 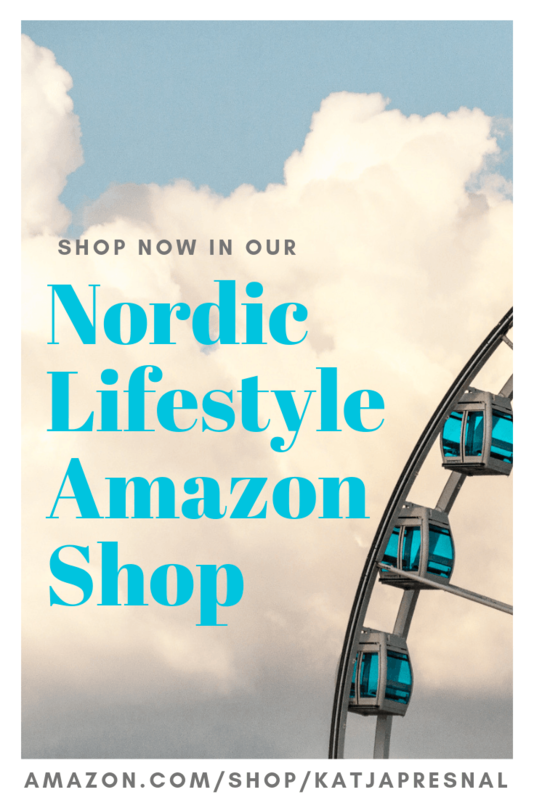 The pop-up stores have been trendy for a few years, and now the newest in fashion and art are traveling wagon stores that pop up faster than any other store humanly could – because they are on wheels. The food industry has been leading the truck trend with ice cream truck, followed by the taco truck and the nation has been swept by food trucks, like the Viking Soul Food in Portland. Now the fashion world wants to get on the road too with traveling apparel trucks. Last summer even designer Cynthia Rowley got into the traveling store wagon (pun intended), and had both, a pop-up store at the Hamptons and a fashion truck turned into a shop. Rowley’s truck traveled New York through Miami, Atlanta, cities in Texas, Arizona and California. I absolutely love this business idea and want to see more traveling retailers in the future! 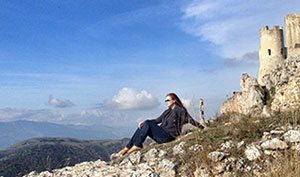 This shows how you can make traveling your lifestyle just by innovative thinking! 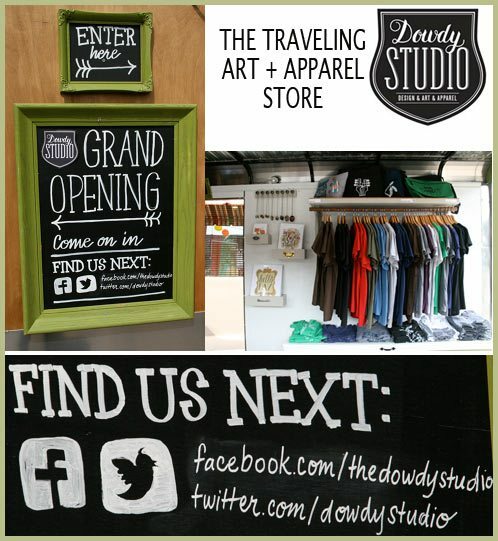 The Dowdy Studio has been selling their original screen printed t-shirts and art prints via Dowdy Studio Etsy store and now they are taking their art and apparel on the road. I loved meeting the couple behind the idea, artists Pamela and Dylan Dowdy, they are a cute young couple who are living life to the fullest. 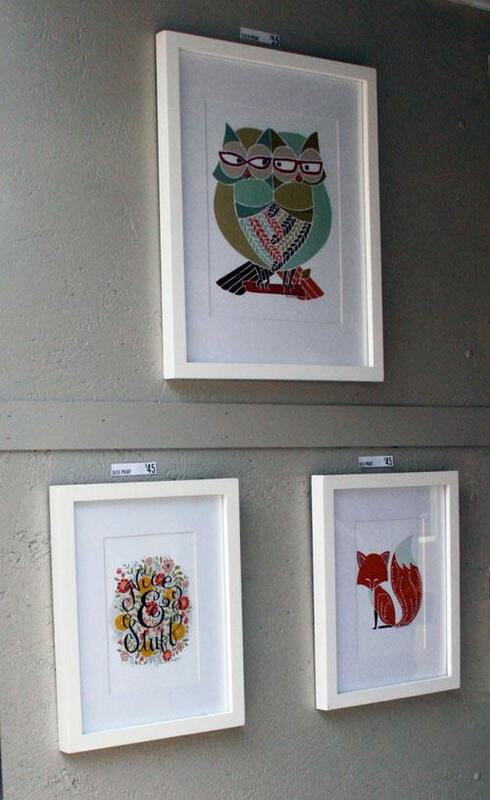 Dylan makes music inspired designs and screenprints them on clothing and accessories, including wood clocks, and Pamela has a nice Scandinavian modern style in her illustrations and she focuses more on her own interpretation of nature. Looks like Dowdy Studio Wagon will be mainly in Dallas area the following weeks, but you can follow their blog and see their wagon schedule to see where the Dowdy Studio wagon will be visiting. You can also find The Dowdy Studio on Facebook. Thanks for jewelry designer DeAnna Cochran for taking me to visit the Gypsy Wagon in Dallas!